Do you love the arts? Are you heading to Charlotte? Well you might not know it but Charlotte is home to an incredible museum of art called the Mint Museum of Art. If you have time to spare you should definitely stop to check it out. 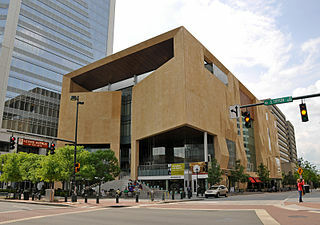 The Mint museum of Art is Charlotte’s first art museum. It is home to many notable works of art from both Europe and America. The main theme of the museum though is the history of America. It is host to pieces from Native Americans and many other societies who have influenced the American culture. One collection of art, for example, is the Arts of Ancient America. This collection includes pottery, stone work and textiles from ancient areas of Mexico, South America and Central America. Another collection in the museum is the Contemporary Collection. This collection of art is filled with pieces that were created after 1945. It contains mainly American artists and contains print, sculpture, photographs and installation art. Yet another collection is the Spanish Colonial collection. This is the period after 1492 when Columbus discovered America. Art in this collection includes paintings, silver and furniture from that era. In addition to these collections, you will also find collections of European art, works on paper, costumes, African art, decorative art and more. The variety is large enough that anyone can find something to interest them. So if you are interested, you should head over to the Mint Museum of Art in Charlotte. For more information on current ticket prices, hours of operation and directions you can call the museums information line at 704-337-2000.